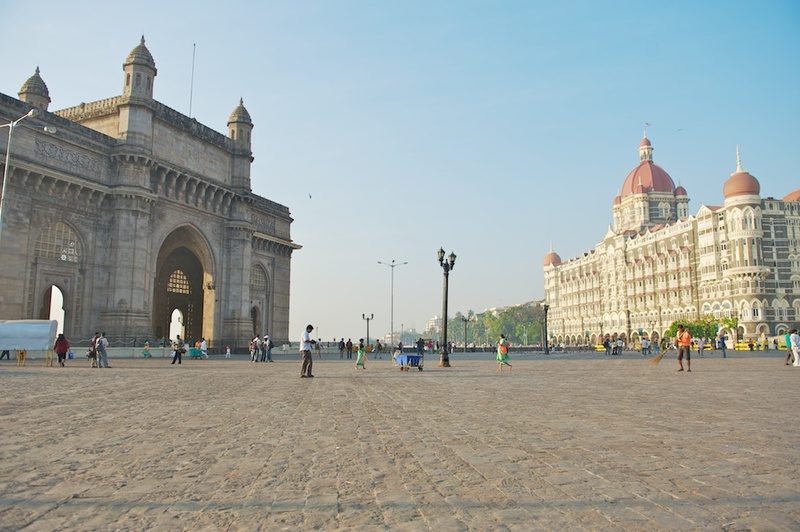 The “Gateway To India” Arch in Mumbai. Gateway to India built in 1911. 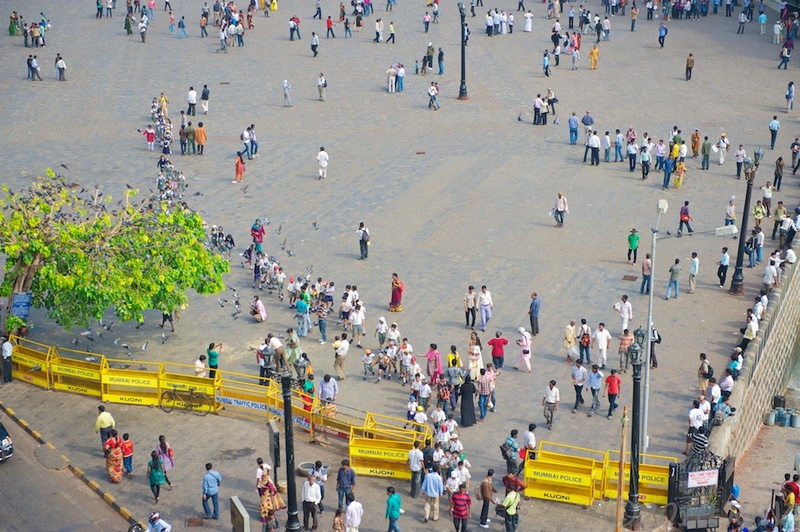 One of the best places to capture humanity in all its permutations is the area around the “Gateway to India” arch. This area, with the Taj Palace Hotel across the street, is probably the favorite of all the sightseeing destinations in Mumbai (referred to as Bombay by local inhabitants). Both foreign and Indian tourist like to walk this area spending equal times looking at the arch and the hotel. From dawn to the wee hours of the morning, the plaza is visited by throes interested in taking photos of both sites. Many people stop and gawk at the Taj Palace Hotel. Some may do so because of the grandeur of the hundred year old building while others may have a more morbid interest as it was the locale of a 2008 terrorist attack that killed numerous guests. Besides the sightseers, the area is frequented by vendors of every stripe, horse drawn elaborate carriages, and armies of photographers looking to make money by photographing tourists. Photos were shot with a Nikon D700 with Nikkor 24-70mm f/2.8 AFS zoom lens and a Nikon D300s and Nikkor 70-300mm f/5.6 AFS VR zoom lens. One hundred year old Taj Palace Hotel in the background. School children in a line. And then the pigeons arrived. « A few hours in Nara last spring.